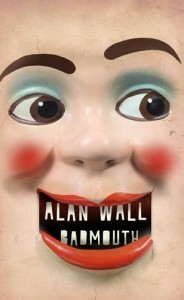 Badmouth tells of the adventures and misadventures of an uncle and a nephew, Graham and Robert Fowey, and their involvement with a ventriloquist’s dummy, Harry Sprite. It also tells of Brother Tom, a man who can read minds, of Noah and of Sigmund Freud. Funny and erudite, by turns fantastical and realistic, Badmouth is as mischievous as Harry Sprite.